Atlanta Photography Group is taking submissions for a group exhibition juried by Gregory Harris, the assistant photography curator for the High Museum of Art. “Gregory Harris Selects” will be featured in Atlanta Celebrates Photography’s Festival Guide and APG will offer two purchase awards: $500 as well as entry into the Museum of Contemporary Art of Georgia’s permanent collection. Juror Gregory Harris is a specialist in documentary photography and is best known for his work with emerging artists. Since joining the High Museum as a curator in July 2016, Harris has organized the exhibitions Thomas Struth: Nature & Politics (2016), The Spirit of the Place: Photographs by Jack Leigh (2017), and Paul Graham: The Whiteness of the Whale (2017). He was previously the Assistant Curator at the DePaul Art Museum in Chicago. 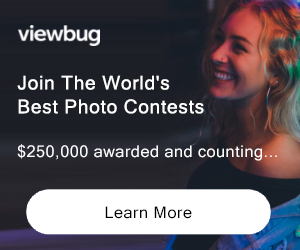 PRIZE DETAILS: Each year, two photographs from the Selects exhibition are awarded a $500 cash prize and the photographs are donated to the Museum of Contemporary Art of Georgia for their permanent collection. Not eligible to enter? - Find contest where you are. COPYRIGHT: Artists maintain copyright on all of their work. Artist’s recognition is provided with any use. USAGE RIGHTS: By submission, artists grant APG the right to use their images for the purpose of marketing the exhibition and other APG programs; and for reproduction online. Artists grant the use of their image(s) as stated without further contact or compensation from APG.